HIGH-TECH SHARK-SPOTTING DRONES are patrolling dozens of Australian beaches this summer to quickly identify underwater predators and deliver safety devices to swimmers and surfers faster than traditional lifesavers. As hundreds of people lined up in early morning sun to take part in a recent ocean swimming race at Bilgola beach north of Sydney, they did so in the knowledge the ocean had been scanned to keep them safe. Artificial intelligence is built using thousands of images captured by a drone camera to develop an algorithm that can identify different ocean objects. “We can identify 16 different objects, like sharks, whales, dolphins, surfers, different kinds of boats and many other objects of interest,” software designer Nabin Sharma from the University of Technology Sydney (UTS) told AFP. Surf lifesaving clubs are Australian institutions dotted along the country’s coastline – where the majority of the population live. They ordinarily rely on the naked eye to spot sharks, and launch surfboards or rubber dinghies from shore to rescue anyone in trouble. The drone is a welcomed technical intervention that can also drop safety devices to distressed swimmers, just moments after they have been identified. “The reason the drone is so important is sometimes we can’t see over the waves, so having the drone is that little piece of extra prevention for us,” Bilgola Surf Lifesaving Club president Romilly Madew said. It gives us that line of sight that we can’t see – both for the surfers, and really for our patrols. Spotting other hazards, like jellyfish or strong currents, via the drone gives swimmers greater confidence in the sea, she added. Some beaches in Australia have shark nets, but a government report this week called for their phasing out in favour of exploring a range of alternatives, including sonar technology and aerial patrols. The inquiry found that nets did not guarantee public safety any more than any other deterrents but caused significant damage to marine life. 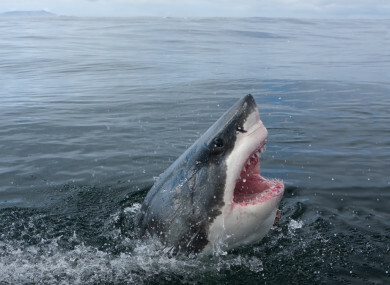 There have been several shark attacks off the nation’s vast coastline this year. Experts say incidents are increasing as water sports become more popular and baitfish move closer to shore, but fatalities remain rare with just 47 in the past 50 years. UTS are also adapting the emerging technology to spot crocodiles for a programme in northern Australia. Email “Australia is using drones to spot sharks before they attack”. Feedback on “Australia is using drones to spot sharks before they attack”.